The times they are a-changing, Bob Dylan sang it already in 1964 but nowadays his words are more true then ever. Modern day developments such as environmentalism, the financial crisis, increased poverty and wealth, are steering dwellers away from traditional homes. Some are forced due to financial problems. Others just want more control over their water and electricity supply. Some act out of idealism like communal back-to-the-landers, free men, or citizens who are just concerned about the environment. And yet another group takes advantage of increasing wealth and architectural advances. The increased diversity in contemporary housing leads to changes in what we call home. For the first time in our history we can pick and choose where we want to live. Thanks to the internet and cheap traveling we are inspired by all kinds of ways of living all over the world. We don’t have to live the way our parents did. An unprecedented revolution is in its infancy (not only regarding housing but on all aspects of humanity). 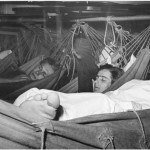 While on the other hand, the less fortunate, have no choice at all and are forced to go back to basic. Here are 15 examples of how, in our Western society, we are living differently in a new era. The glass wall floods the Chamfer home with light. Its double glaze is designed to both heat up when its cold outside or ventilate the interior when necessary. Used as either a posh beach house or innovative urban home, this 27 square meters autonomous prefab is an affordable eco friendly home. Chamfer Home is very space-efficient offering most of the amenities of a larger home, including a fully functional kitchen and a bathroom. Tiny homes are the perfect example of people taking control of their lifes. By downszing they are able to step out of the rat race. Less costs for utitilities, less rent, and increased mobility provide freedom. Breaking the shackles of the crumbling and progressively stifling system. 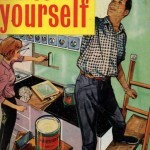 The big question that rises, where to put your tiny home? Dedicated tiny home parks don’t exist. This is because the same land, when allocated as tourist designation is far more profitable. So offten they are parked at friends, or arrangements are made with land owners in change for some maintenance work. Upcycling is hip yes. It’s a trend started by the environmental movement that is currently embraced by an increasing portion of the world population. It’s much more than a fad though, it’s a logical development. The practice of mass producing building materials while at the same time discarding vast amounts of useful materials such as shipping containers as waste is just insane. Visit Inthralld for an eco, off the grid version of a shipping container home. Or check out this post for some amazing homes built with recycled material. This ‘occupation’ of La Defense in Paris is an example of guerrilla architecture. This interpretation of the concept of ‘parasite architecture’ is from former graffiti artist and architect Stephane Malka. He foresees a massive influx to the cities the coming decades in which a revolution..
By creating a city in a city that acts like a pocket of resistance and can grow inside the city. The Parisian elucidates: this act of guerrilla architecture sets out to hijack the “Great arch of fraternity.” Unite the forsaken, the marginalized, refugees, demonstrators, dissenters, hippies, utopians, and the stateless of all kinds. No solar panels so no electricity. 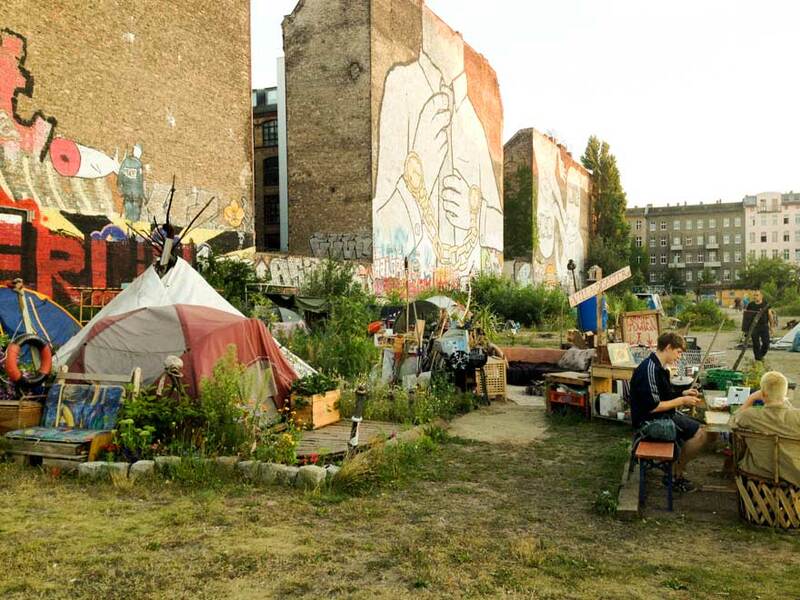 Some tents are isolated allowing people to live here even in the cold Berlin winters. 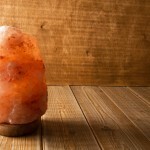 One of the most harsh alternative home environments. On the other hand it is located in Kreuzberg near the Oberbaumbrucke, one of the most fun districts in Berlin. There’s even a hostel, you can sleep in a tent for 1 euro, breakfast included. 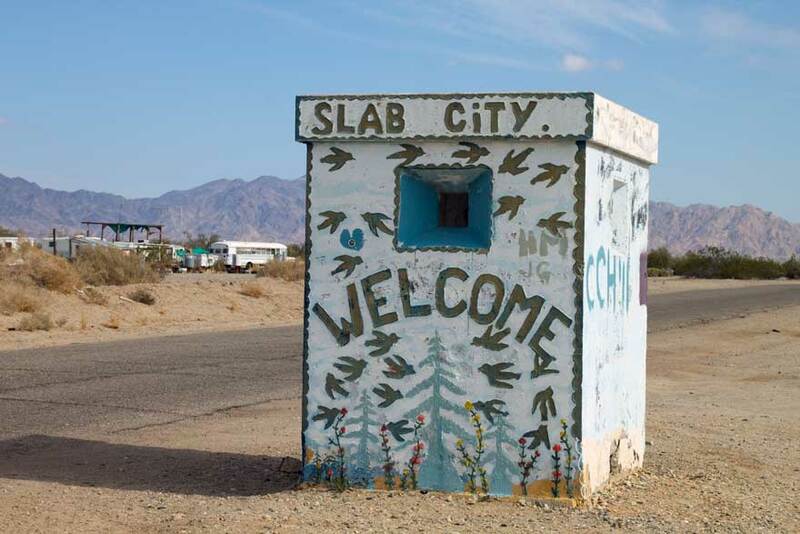 Slab City is located on an abandoned World War II navy base in the Colorado desert, California. 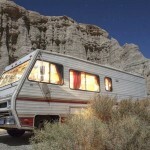 The city of snowbirds and squatters is mainly occupied in winter by RV owners and squatters. During the summer, when the desert turns into an oven, most inhabitants migrate to cooler climates. The city that exists outside society has no toilets or sewers, no electricity, and is both decommissioned and uncontrolled. It is known for its artwork such as East Jesus and Salvation Mountain and open air nightclub The Range. As the rich are getting richer and building techniques and technology are evolving rapidly, more extravagant homes will be built. 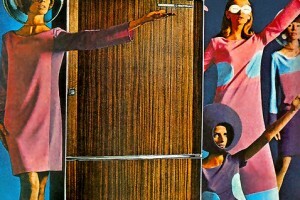 Crazier designs, stuffed with ultra modern technology but also with recycled materials. This villa, built from salvaged airplane parts intended to simulate life in the clouds, is only the start of what will be possible. Named “a villa for an aviator,” the structure in New York state was designed as a deconstructed airplane to give the owner the feel of living in spaces that are surrounded by open sky. As we are working more from home (and we are losing jobs to machines) portable homes are becoming a more viable option for many. Architects are anticipating such developments resulting in beautiful new forms of living. Again from Spanish studio Abaton is this tranportable house named APH80. Transported by road this pre-fab home can be placed almost anywhere. The home features a living-room/kitchen, a full bathroom and double bedroom. Its large doors and windows bring the outdoors inside thus blending ind with the environment. Prices start at 21,900€. Cities are getting bigger, land is getting more valuable and building techniques are increasing in unsurmounted pace. The result? Skyscrapers that literally tower above the clouds housing thousands and thousands of people. On the photo: Sky Habitat capitaland, Bishan Singapore. Here’s a short video impression. The sky is probably not the limit when it comes to building high rise structures. One day we may step in an elevator that brings us to a space station. This is no science fiction. The engineers at Google X, Google’s secretive R&D laboratory, are already working on a space elevator. Too bad they had to put it on ice until we have invented a building material that’s strong enough. In order to reach low Earth orbit (LEO), we’re going to need nanotube strands that are hundreds of miles long and modern science is not capable of doing that. Yet. The skyscraper on the picture is yet to be built Sky City. If everything goes as planned it will top world’s current highest building Burj Khalifa, by 10 meters (Sky City will be 838 meters (2,749 feet) tall). In cities there’s still room for additonial housing such as in between the buildings, on the gaps, on the blind walls, under bridges and on rooftops. 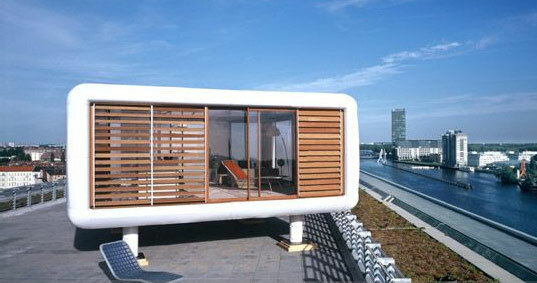 Another form of housing, somewhat of a legit type of architectural hijack are rooftop pods. 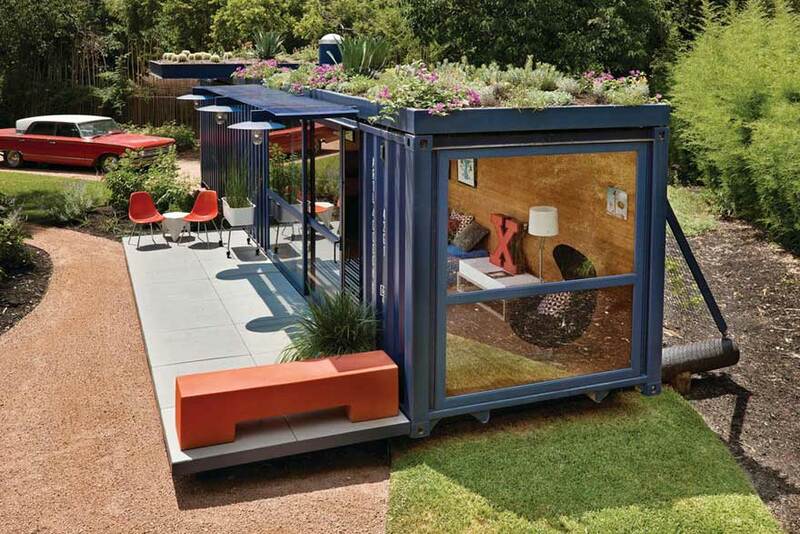 Wealthy city dwellers are taking to the idea of rooftop living such as in a Loft Cube. These mini-penthouses are put on top of roofs with helicopters. A great way of living but at a price tag of $3,000,000 for 2,000 square feet price competely on the other side of the housing spectrum. 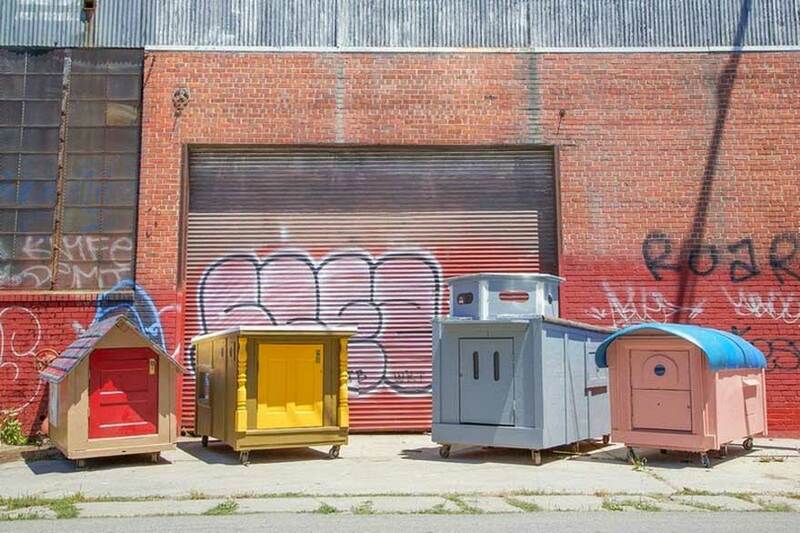 These sturdy, innovative and mobile shelters for the homeless are made from illegally dumped trash, commercial waste and excess household items piled in alleyways and discarded throughout the city. The little homes are made by Gregory Kloehn for his Homeless Homes Project. With the help of volunteers he upcycles what they find and makes these moveable shelters. Pizza delivery bags are used for insulation, a washing machine door functions as a window and pitched roofs keep the rain out. The wheels ensure the owners can roll them through town. Just imagine how skid row would look with these colorful sheds instead of tents and sleeping bags. 3D Printing is the future. In China they recently 3D-printed 10 houses in a single day and they are printing a canal house in Amsterdam as we speak. It won’t take that long before we will print almost anything. These 3-D printed portable houses are designed for commuters. The idea is to place these homes next to office buildings or factories. The German creators think they will be able to fit in a bathroom, kitchen and sleeping space. The pods ar made of sand and special binder. The surface of the house can collect the water and use for heating, cooling and toilet system by the water that runs through the capillaries in the walls. Via NBC News. This bamboo micro housing by Affect-T seems like a noble and easthetically pleasing initiative but it makes you wonder if these aren’t basically an upgraded version of the infamous metal cages poor Hong Kong dwellers live in. Admitted, any improvement in their situation is better than no one at all. 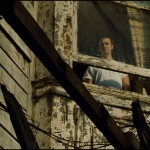 The skyrocketing housing prices have led to a community of about 100,000 living in such abominable circumstances. Hong Kong’s poor cages don’t come for free either. Stacked on top of each other, the 1.5 sq m enclosuress can be rented at a price of 1,300 Hong Kong dollars (about US $167) per month. The bamboo shelters can be built quickly without sacrificing quality but remains to be seen if the series of tiny and affordable shelters will improve the situation of this segment of the city’s inhabitants. Evictions are of all times but since the financial crisis the amount of people that got evicted and was forced to live in tents grew exponentially. 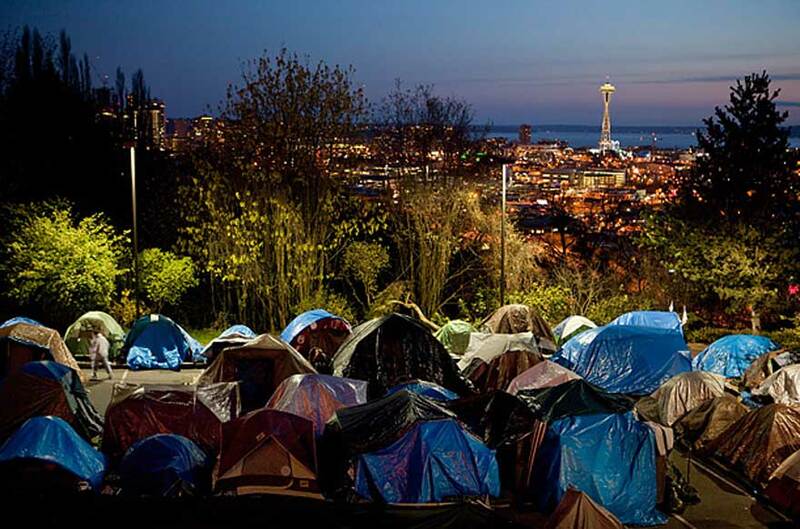 So while tent cities are nothing new we might pose that considering the increasing wealth inequality in America tent cities may be here to stay. (I highly recommend watching the video on wealth inequality if you haven’t seen it yet). Modern day tent camp dwellers are far from just drug addicts and the mentally ill. You can find veterans, college graduates, and middle class families who have fallen on hard times in the encampements in woods, parks, under bridges, and other locations. On itself a sad sign of our modern times but an outrageous development when you realize that governments are trying to shut down tent cities, effectively evicting people again, this time from their tents. It gets even worse, some cities pass ordinances that ban camping on city-owned and residential property and prevent anyone from sleeping, bathing and shaving in public restrooms. Where will it end? Will the contrasts between poor and rich continue to grow until we end up in a situation comparable to the one outlined in the dystopian flick Elysium? Or will new technologies such as 3D printing, nano tech, and others close the gap? What’s your take? 16 Types Of Tiny Mobile Homes – Which Nomadic Living Space Would You Choose? Hi, this is a great article. We are developing a micro village just outside Terrace BC. We believe it is the first planned tiny home community that is going ahead in Canada. Thanks Allyson. Really excited to hear tiny home communities are spreading. Wish you guys all the best. 43 Reasons You Should Start a Blog Right Now! What Would You Do If You Didn’t Have To Work To Get Paid? 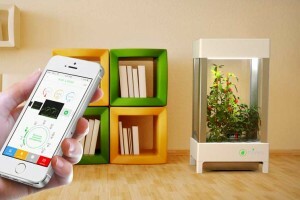 Futuristic Fridge Technology, Are The Latest Features Worth It? Copyright © 2016. 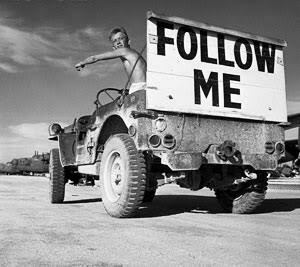 Disclosure: Some links may be affiliate links.